Free Size -- fits for 5.5"- 9.8" wrist, tracker is not included. 1 year Warranty. Replacement or full refund without return. 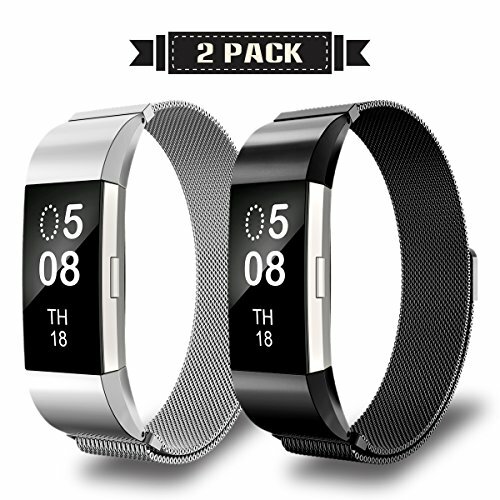 Stainless steel mesh makes it a breathable band, It is also water and sweat resistant. Minimal design, lightweight and flexible. Strong magnetic clasp design, no buckle needed, just stick and lock your Fitbit Charge2 band easily. 1 year warranty, if you have any problem about our product, please contact with us any time, our services team is ready to help you to solve the problem you met. 1 year Warranty, replacement or full refund without return. If you have any questions about this product by AIUNIT, contact us by completing and submitting the form below. If you are looking for a specif part number, please include it with your message.